When drivers in the Cassville, Mt. Union, and Huntingdon areas want to learn more about the vehicles they’re interested in buying, they know they can count on the professional vehicle reviews provided by our team at Price Motor Sales. These helpful reviews are the perfect way to get better acquainted with the vehicles you love. On this page, you’ll find a collection of vehicle reviews to help you get started on your vehicle research process. Simply pick one of the reviews and learn more about the vehicle’s performance, safety, technology, and other key features. Interested in more than one vehicle? No problem. You can learn about as many vehicles as you’d like. If you don’t see a review for the model you’re looking for, please contact us for more information. Are Vehicle Reviews That Important? Long before the test drive, potential car buyers should be reading up on the models they’re interested in. Vehicle reviews are a convenient way to learn more about the features and specifications of different models before heading to the dealership. This not only saves you time, but can also save you the trouble of accidently choosing a model you’re not completely satisfied with. Thanks to these educational vehicle reviews, learning more about the cars you love has never been easier. In just a few minutes, you’ll have all the information you need to make a smart decision. Plus, our team is here to help and can assist in live vehicle walkthroughs and personal test drives. The goal of any well-written vehicle review is to give the reader a sense of what it’d be like to drive that car. That’s the goal of our reviews, and we do it by providing information about the vehicle’s interior style, engine capabilities, technology features, and much more. Whether you need something with more cargo room or more horsepower, our reviews can help make that decision easier. We’ll help you find the right model to match your needs and your lifestyle. For more information, drivers in the Cassville, Mt. 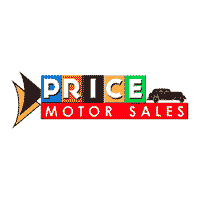 Union, and Huntingdon areas can contact Price Motor Sales. We’re happy to answer all your questions or help you schedule a personal test drive with the vehicle or vehicles of your choice.